There are a few destinations in Montana that are full of delightful surprises. Kalispell, Montana is one such place. In the past, Kalispell has been a city that was known for its larger retail stores and as a great place to stay when exploring nearby recreational attractions like Flathead Lake and Glacier National Park. But I have to tell you that after spending two full days there, I’m convinced that Kalispell is way more than just a place to lay your head or pick up bulk groceries. In five words: Kalispell is actually pretty cool. After spending time in Kalispell (the Flathead Valley’s largest city), I was literally delighted by what it had to offer. And while I could ramble on and on about all of its different attributes, these are the 5 things that stood out the most for me. 1. The food. While Kalispell hasn’t historically been known for its culinary scene, the town is sure to surprise you with its food offerings. For breakfast, try The Knead Cafe. For lunch, you cannot go wrong with the pizza at Moose’s Saloon—a Kalispell institution. Be sure to bring a pocket knife (or ask one of the locals to borrow theirs) to carve your initials in the wood. 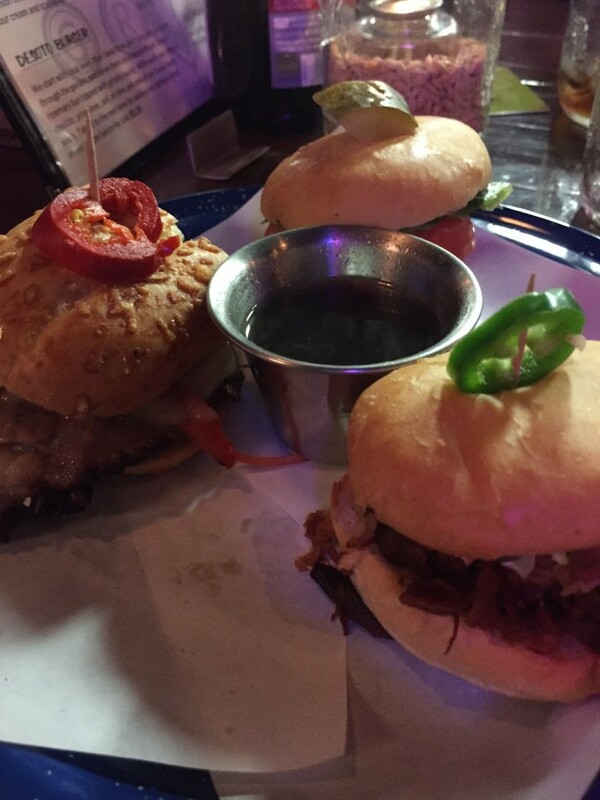 And for dinner, dig into a burger at Hop’s Downtown Grill or try Montana BBQ at DeSoto Grill. Sidenote: If you go to DeSoto, order the smoked chili salmon. Trust me on this one. 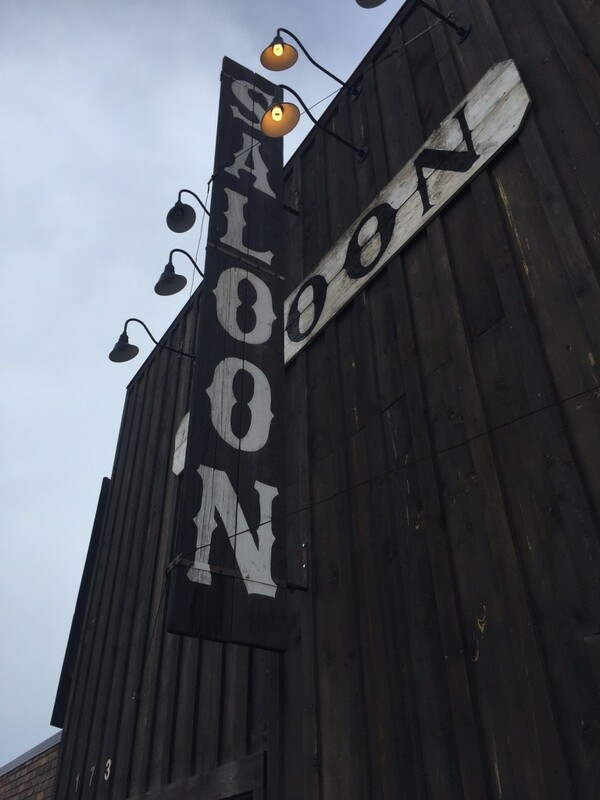 Moose’s Saloon. A definite must-stop destination in Kalispell. 2. The Conrad Mansion Museum. 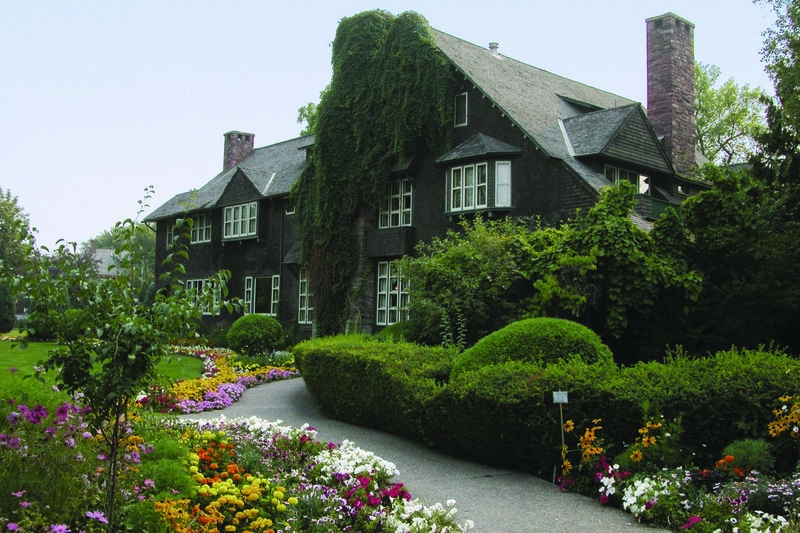 Truth time: I’ve toured the Conrad Mansion Museum in Kalispell more times than I can count. However, there was something different about my most recent visit to the museum and it was our tour guide, Cindy. She totally looked the part (and had made the dress that she was wearing) and told insights and stories about the mansion and the Conrad family that I had never heard before. Essentially, she brought the story and history of the museum alive in a way that I had never before experienced. 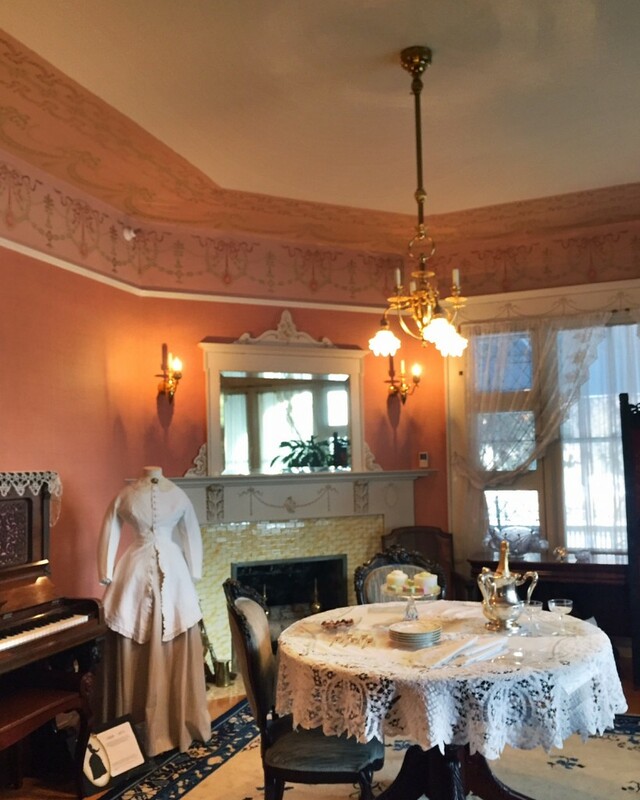 The tea room in the Conrad Mansion. 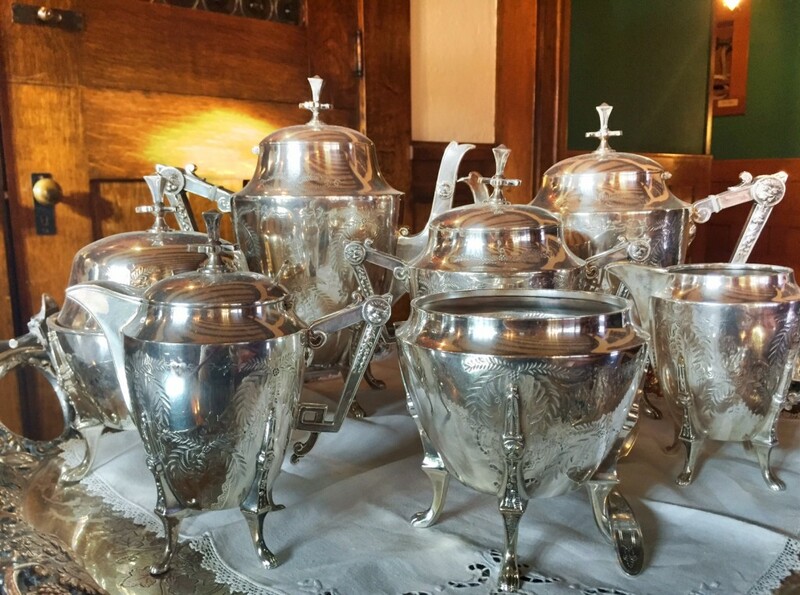 Original silver tea set of the Conrad family. 3. Fun shops. If you know me (and many of you do, at least via this blog), you know that I love shopping. 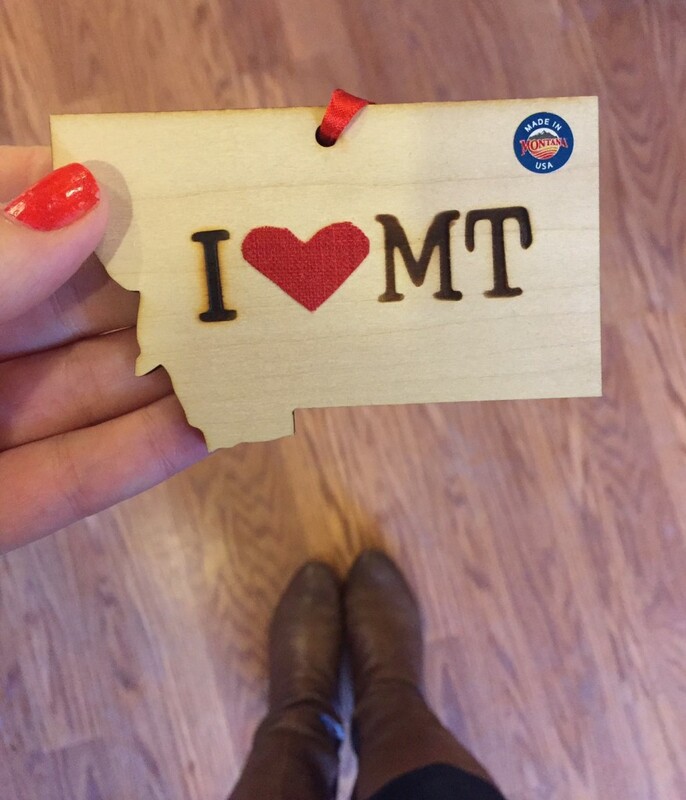 And on this visit I went to a few shops in Kalispell that I’d never been to before, including Think Local and The Toggery (they also have a location in Whitefish). And I have to tell you, Think Local blew me away! 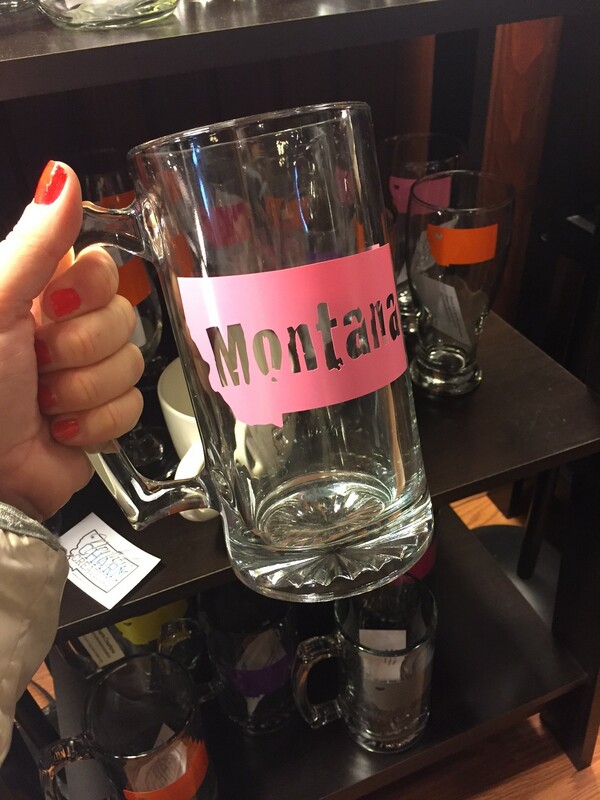 As someone who loves to find made in Montana items, it was like my dream come true. 4. The trolley tour. 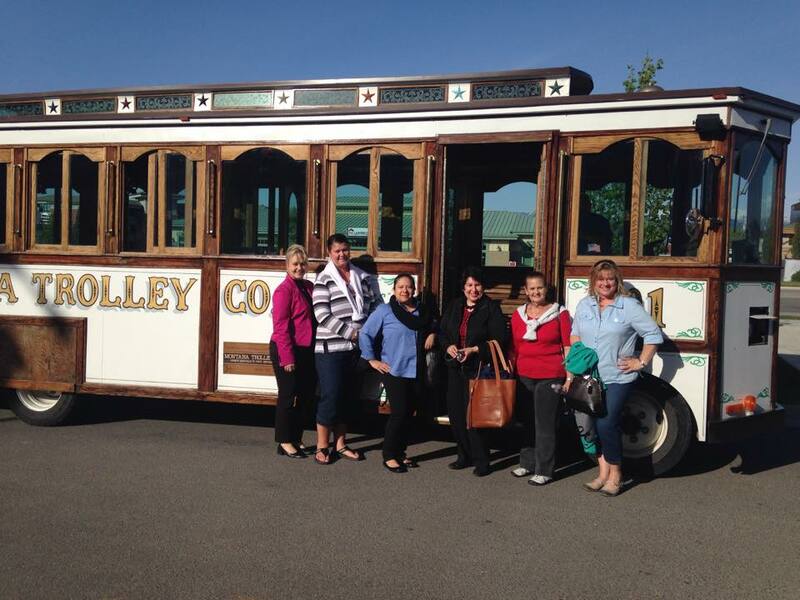 If you’re coming to Kalispell with a group (whether it’s family, a girls getaway, a group tour or school group), take a tour with Montana Trolley Co. It’s a really fun way to see Kalispell and learn about some of the historical aspects of the city. All aboard! (I’ve always wanted to say that). 5. Kalispell Brewing Company. 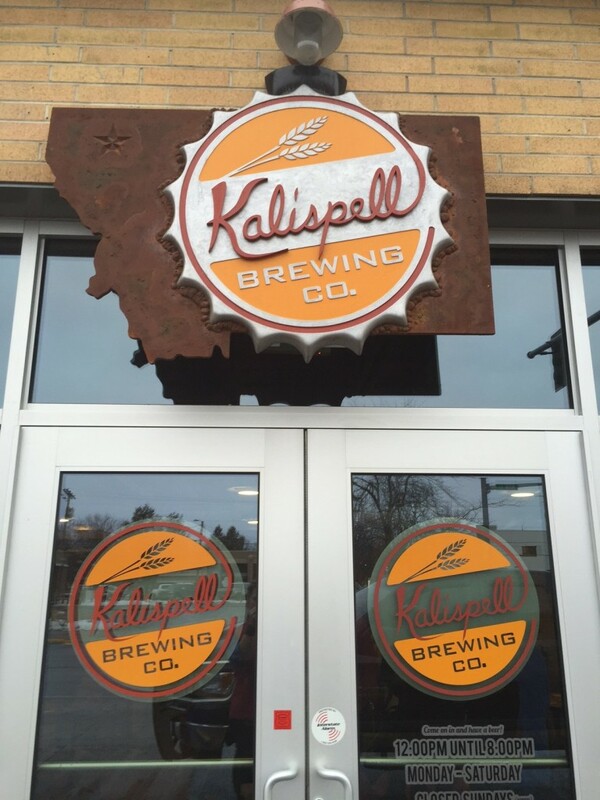 Okay, we all know I’ve been to Kalispell Brewing Company (located in downtown) a number of times, but I really think this is one of the best places in Kalispell. Cole and Maggie (the husband and wife team who own the brewery) are fantastic and they make great beer (plus they keep root beer and diet soda on tap for those of us—like me—who don’t drink). 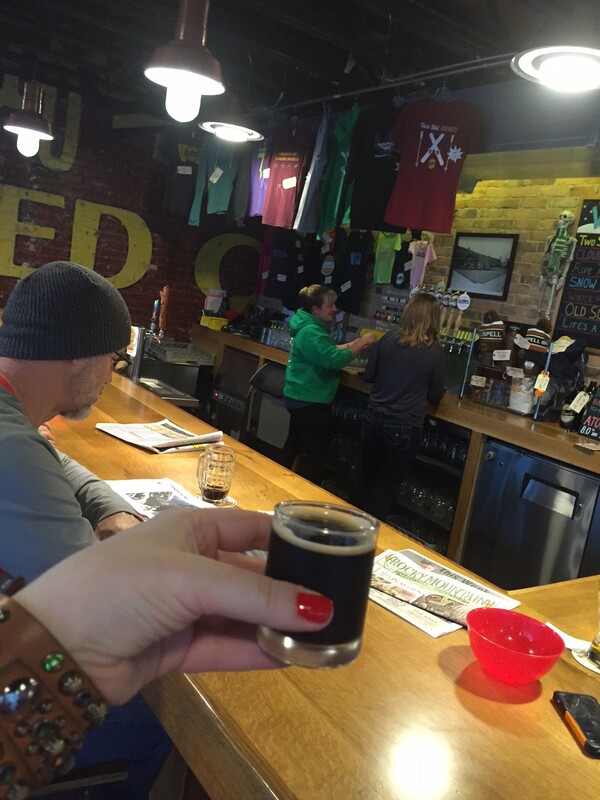 And if that’s not enough, their tap room has such a fun vibe and is a family-friendly location. Sidenote: if you’re in Kalispell during the summer, be sure to check out their rooftop patio. 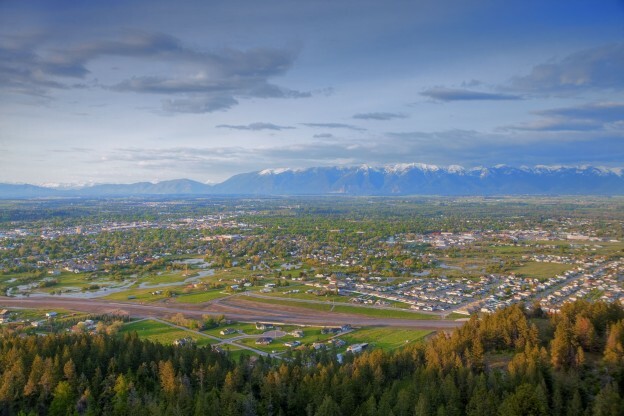 Your turn: what would you add to the list of great things to do or see in Kalispell, Montana? This entry was posted in Flathead Valley and tagged Kalispell on February 24, 2016 by tiatroy. The arrival of May means one thing in Montana. The season of farmers markets is upon us. 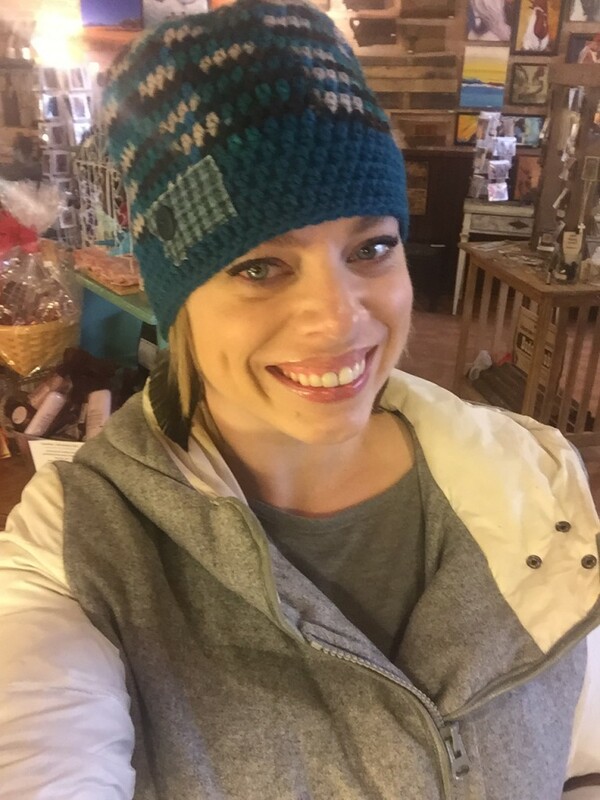 And this girl is a firm believer in the fact that strolling through a local farmers market is one of the best ways to experience a community’s culture and some of the best of what they have to offer. Sidetrack time: Last summer I was able to visit a friend in Mexico City. We hit all of the highlights of the city and I loved each and every moment that was spent there. But I’ll never forget the morning we spent at a local market. The smells and the energy, combined with an insightful look at the city’s culture, introduced me to a side of the city that I hope I never forget. While I may be overly sentimental, I’m holding firm to the belief that local markets are a fantastic way to immerse yourself into a destination’s culture. 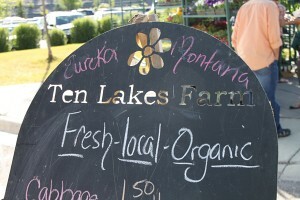 And the farmers markets that are found throughout Western Montana’s Glacier Country are no exception. Leisurely strolling through a market on a sunny Montana day will give you a pleasant and fresh look at what makes each community so special. Embracing all things local, this market provides products grown or made in Montana, including produce, plants, flowers, baked goodies, jams, jellies and hand-crafted arts and crafts. This small town market combines live music with a family friendly atmosphere, as well as local arts and crafts, tasty food and produce. Soak up small town charm and snag fresh produce, jams, soaps and crafts. A hotbed of local talent and goodies, this market features produce, bedding, baked goods and arts and crafts from local Tobacco Valley artists. It’s farmers market time in Eureka, Montana. With more than 150 vendors all from Ravalli County, this lively market includes fresh organic produce, locally raised beef, alpaca wool, jewelry and locally harvested wood furniture. 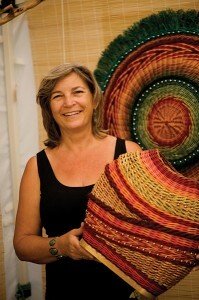 One of the oldest markets in the state, the Kalispell Farmers Market boasts a variety of goodies, including arts and crafts, meat and eggs, native plants, iron works, woven rugs, woodwork, handspun yarns, photograph and fresh produce. This market features live music entertainment, as well as fresh fruits and vegetables, crafts and baked goods. An integral part of summer in Missoula, farmers markets feature fresh local produce, baked goods, organic dairy products, locally brewed coffee, flowers and crafts. An added bonus: The People’s Market is just up the street and is held every Saturday through the summer. Located at the southern end of Flathead Lake, this market offers fresh farm produce, flowers, wood crafts, jewelry, photography and soap products. Located in the heart of downtown, the Stevensville market features local goods. 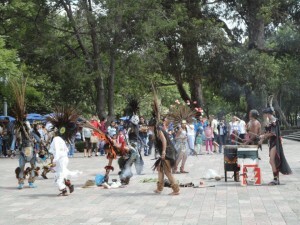 This outdoor market features locally grown produce, as well as artists and local food vendors. This community market is known for its locally grown produce, craft items and baked goods, as well as handicrafts created by local area artists that include paintings, leatherwork, pottery and quilts. This quaint afternoon market showcases local products from farmers and artisans. Bonus: It’s steps away from the west entrance of Glacier National Park. One of the liveliest markets in the region, the Whitefish Farmers Market features live music, fresh herbs and spices, food vendors, produce and locally made arts and crafts. 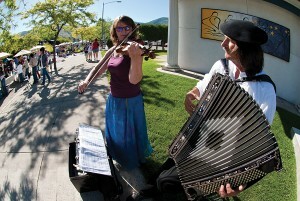 The Whitefish market features a different musician each week. 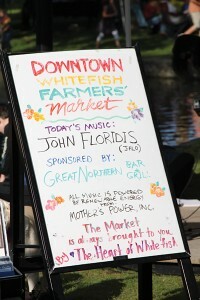 This entry was posted in Arts and Culture, Farmers Market, Food, Shopping, Summer, Things To Do, Uncategorized and tagged Events, Farmers Markets, Food, Kalispell, Missoula, Summer, Whitefish on May 3, 2013 by tiatroy.